Culinary Specialties started in April, 1996, working with non perishable food items out of a guest room. Our business grew quickly, thanks to the increasing demand of our products, we had to move into a larger facility to accommodate the growth of our company. 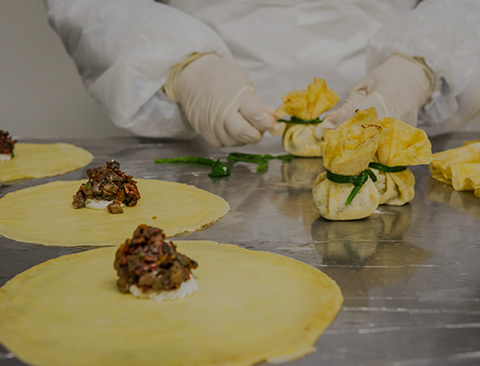 Gaining increasing notoriety with local chefs for our customized appetizers, and beginning to outpace the outsourcing of our products, we moved once again into a new USDA approved kitchen facility north of San Diego. 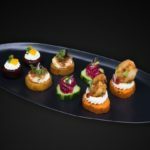 While we initially only served the San Diego market, word was spreading about our quality and willingness to work directly with the chefs to produce specialty gourmet items exactly to their specifications. After only a year, thanks to a rapid increase in business, we would find ourselves once again outgrowing our facility. We moved to our new USDA and FDA approved state-of-the-art production facility located in San Marcos, CA. This location is centrally located, between San Diego, Los Angeles and Palm Springs, enabling us to efficiently serve those communities. Additionally, today, we manufacture and distribute our products to San Diego, Orange County, Los Angeles, Las Vegas, San Francisco, Arizona, Colorado, Texas, South Florida, Hawaii., and are set up and able to deliver our wholesale products anywhere in the USA. We take great pride in the quality of our products, and our deep commitment to service and customer satisfaction, and sustainable food practices. This commitment has helped us along the way to establish Culinary Specialties as a well known and respected company in the food service industry. We understand that the foremost challenge industrial food suppliers face is to provide safe food and protect the consumer from any food borne bacteria or illness. 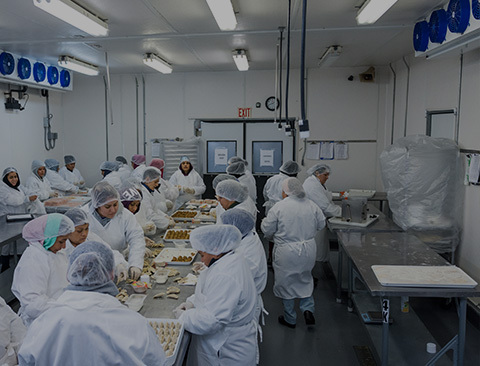 We take our commitment to food safety extremely seriously at Culinary Specialties and strictly adhere to the toughest USDA and FDA food preparation safety guidelines. We are in full compliance with all current FDA food regulatory guidelines and maintain up to date information on any FDA or CDC recalls or hazard warnings, so in the event of a recall we can act swiftly to make sure our consumables, and kitchen remain at the highest quality for our consumers. 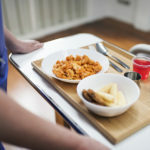 We also recognize that food safety is a shared responsibility across all areas of the food supply chain which is why not only our kitchens, but our packing and delivery facilities all adhere to, or exceed, the recommendations for food safety issued by the governing bodies for the industry. 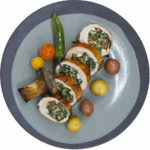 Our products are IQF (Individually Quick Frozen) rapidly after preparation to lock in the fresh taste allowing for the most successful results in the final preparation at our customers kitchens. This technique of freezing the food as soon as it’s prepared helps us keep our vegetables bright and crisp, our bread products exactly the right texture, and our meats and proteins cooked perfectly every time. Our quality-obsessed team hand packs each food item after freezing, to maintain its quality and prevent any damage from freezer burn. Each food item is then protected by our ideal packing systems ensuring the safe arrival of your delivered order. Food Safety is of paramount importance throughout the entire supply chain from farm to table. 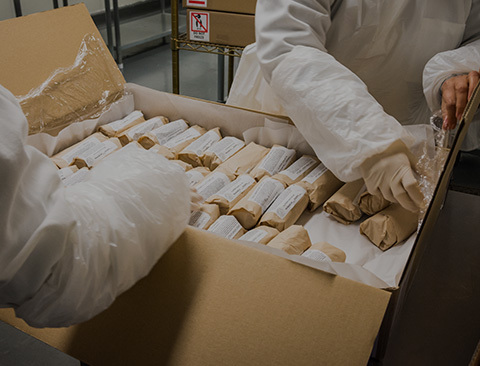 One area of food protection and safety that commonly gets overlooked is the delivery process, when food can deteriorate rapidly in less than ideal conditions in transit, especially in unpredictable travel conditions. We mitigate those risks by having our food trucks all inspected daily. We verify the performance of our delivery fleet to ensure that our products are being transported at the exact proper temperature of 41 degrees fahrenheit, and guaranteeing your delivery arrives in tip top shape, ready for your kitchen. A sustainable food system is built on principles that further the ecological, social and economic values of a community and region. We understand the impact we have on the earth as we harvest its resources and place great importance on preserving its well being, which is why we have spent considerable time and effort in generating sustainable food practices that ensure both our business and our planet can continue to thrive together. Culinary Specialties is actively committed to buying fresh foods from local growers to support sustainable products, and minimize our carbon footprint. We try in our daily work to reduce the use of energy by utilizing better energy efficient lighting and refrigeration. We have installed low energy LED lighting in all freezers, coolers and various processing rooms. Light timers and motion sensors were installed in all freezers, coolers and restrooms, ensuring a minimum of wasted energy. We have a recycling program in place for our entire operation. We train and educate our employees about environmental issues. We avoid the unnecessary use of hazardous materials and products and seek alternative solutions whenever possible. 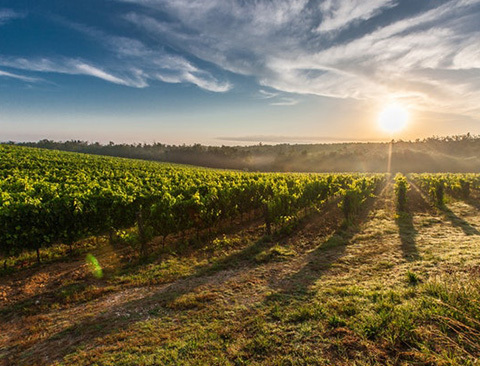 We take all reasonable steps to protect both human health and the environment; and lastly, we pay attention to the details all along the food supply chain, making changes when necessary to minimize our environmental impact whenever feasible. At Culinary Specialties we are committed to a healthy environment in every aspect and we strive to continually improve our environmental performance by periodically reviewing our policies and procedures.